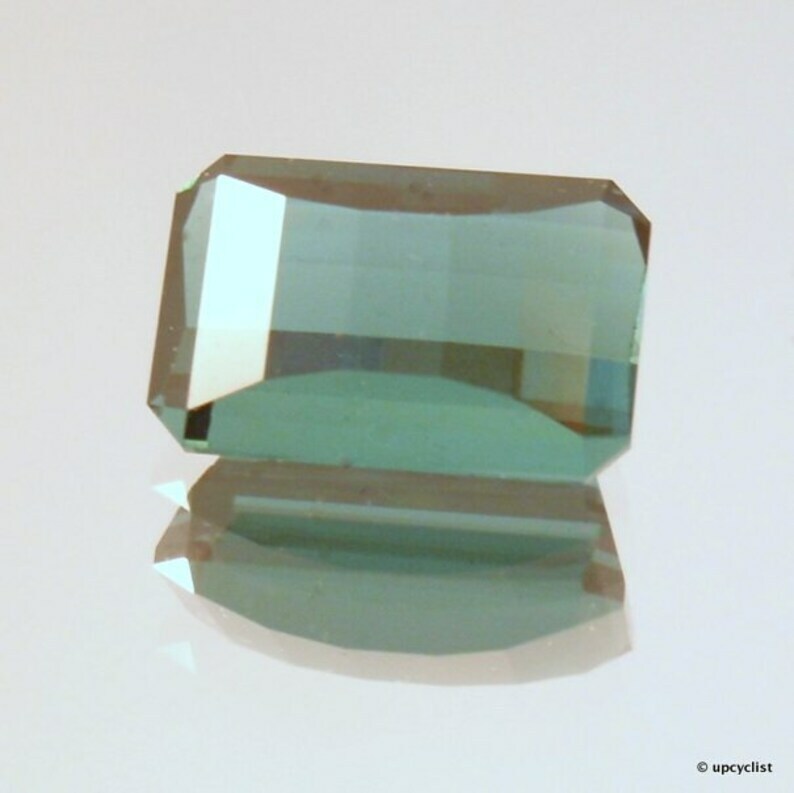 A 0.98 ct Indicolite (blue-green Tourmaline), VVS clarity, no known treatments, cut by me in Jeff Graham's "Smithsonian Bar" design. It does have a closed C-Axis, as you can see in the final picture, but it doesn't stop the brightness! The secret: steep-cut sides prevent the closed axis from leaking any inky ickiness (aka icky inkiness) throughout the stone.